Progressing junior golfers to par or better! 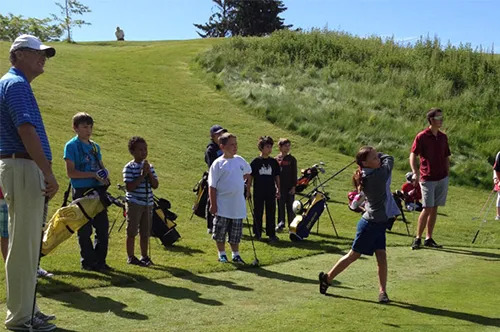 The Ignition Program is a great program to get your child, ages 6 - 12, involved with the game of golf. The academy is structured using the Operation 36 Junior Development Platform! The Op36 Platform consists of 6 levels with 12 badges (subjects) per level. When the junior can demonstrate objectives to coaches they will earn badges on their bag tag and will be able to track and log their progress in the mobile app which also provides a points leaderboard of all Academy members. Each junior that enrolls in the academy will be issued a hat, bag tag, and profile in our new Academy Op36 Mobile App. Get ready to have some game! 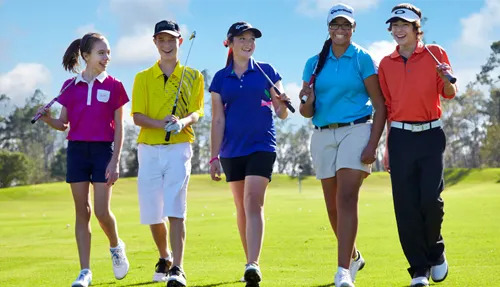 The Junior Elite Program has been specifically designed for those juniors ages 12 - 15, who have chosen golf as their primary sport and have aspirations of playing at the high school or possibly collegiate level, or just want to be the best they can be at the recreational level. This program covers both the technical and performance aspects of golf - introducing the players to goal setting; establishing a practice plan; working on fitness; club fitting and taking part in a unique mental game program. If your junior is looking to take their game to the next level then the Junior Elite Program is for them. The Elite Champions Program has been designed for those committed golfers who would like to play at the national or collegiate level. This is a highly competitive program and admission is limited. This program will prepare each Champion in advanced technical and performance aspects of golf; in-depth goal setting as well as statistical analysis; work out plans; mandatory participation in the mental game program; course management; tournament preparation; building a Champion-like resume; club fitting and much more. A prerequisite for this program is the completion of the Junior Elite Program or admission with Instructor Permission.